A portrait of William Henry Avery. Avery was born August 11, 1911 near Wakefield, Kansas. He graduated from Wakefield High School and the University of Kansas. A Republican, Avery served in the Kansas House of Representatives from 1950 to 1955. In 1954, he was elected to the United States House of Representatives and served until 1964. During his 10 years in Congress, he served on numerous committees. 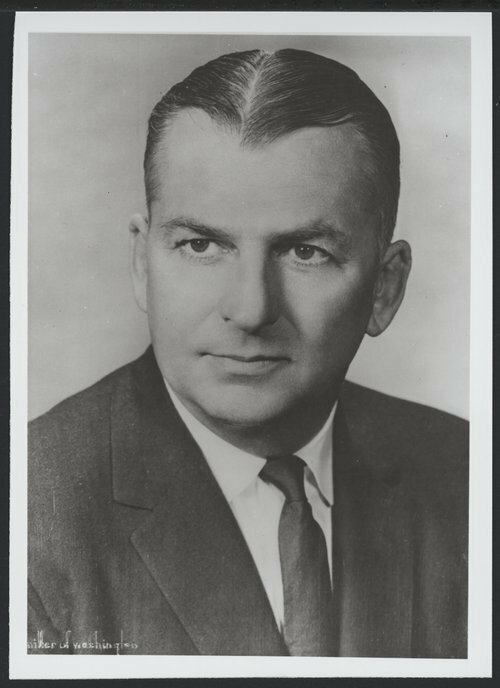 In 1964, Avery was elected the 37th governor of Kansas. He served one term as governor, losing a re-election bid to Robert Docking in 1966. After an unsuccessful bid for the United States Senate, Avery returned to private life.